Some adventures are equal parts connecting with friends, having fun outside, and discovering new places. 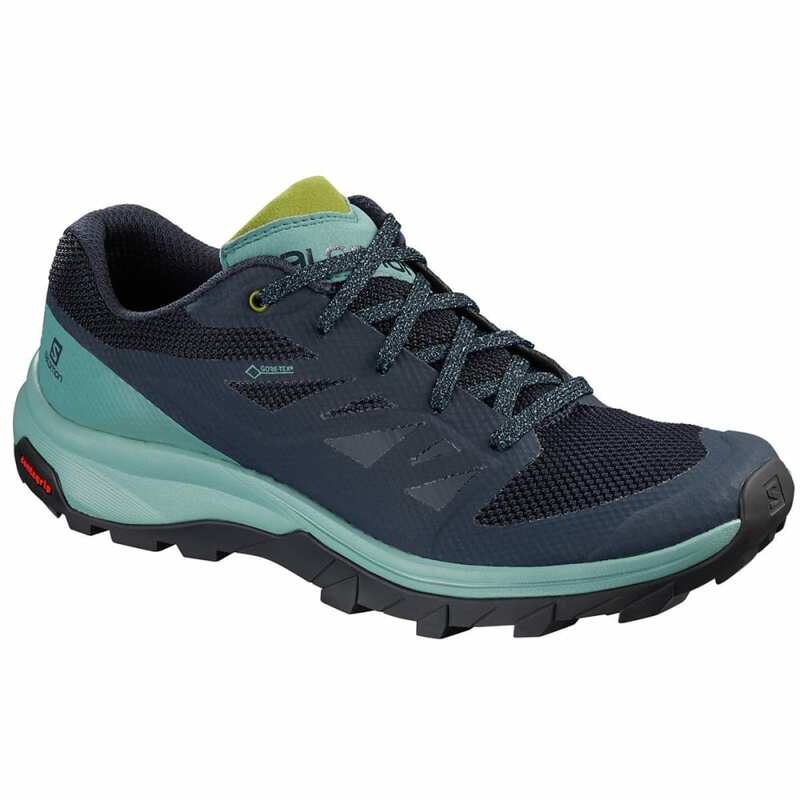 The sleek OUTline GTX is ideally suited to such adventures, with a lightweight feel and flexibility like a running shoe, but enough grip and protection for any trail. Slim, athletic style: Built with a running last and integrated features, this sleek but technical shoe looks as light and agile as it feels. Sneaker-like comfort: Lightweight and engineered with great flexibility and foothold, OUTline is as comfortable as a running shoe. Outdoor grip, outdoor durability, outdoor protection: 5mm deep lugs on the outsole, protective toe cap, and a full GORE-TEX® membrane offer all the outdoor adventure protection you need. Avg. Weight (pair): 10.58 oz.